Superdry women's Jodie boyfriend dungarees. 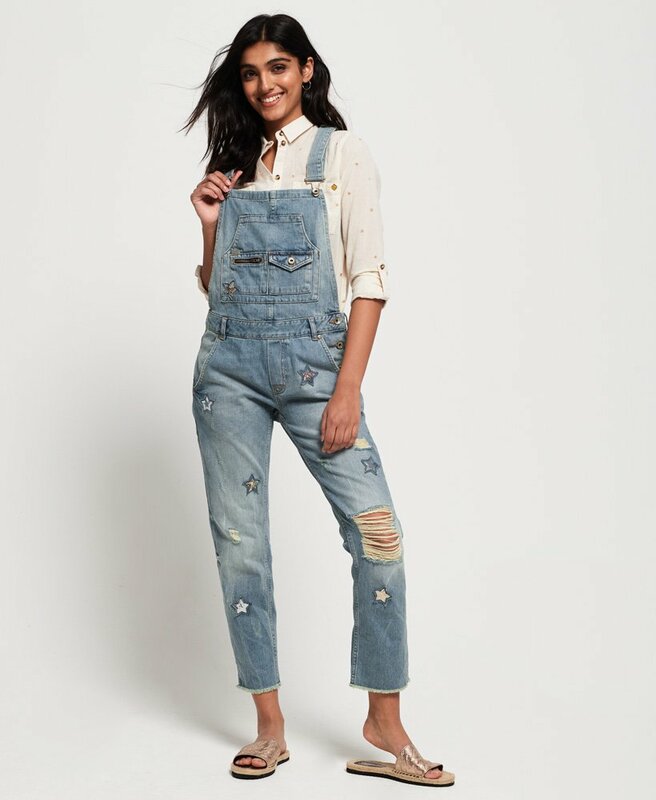 A must have in any denim collection the Jodie boyfriend dungarees feature a brace buckle fastening, side button fastening and chest pocket. These dungarees also feature two front and two back pockets, with a leather logo patch on the rear of the waistband. The Jodie dungarees are completed with a metal Superdry logo badge on the chest.